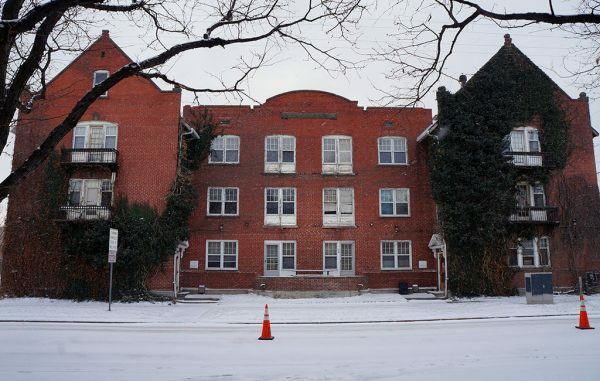 No more bunk beds and dormitories at a century-old Uptown building. Denver-based GM Development purchased 630-638 E. 16th Ave. in Denver for $2.1 million, according to property records. Marketing director Shelly Danowsky said GM has restored historic buildings in the Midwest — including the recent conversion of a Missouri elementary school into loft apartments — and wanted a similar project in Denver. “What we’d like to do is … bring it as close as we can to how it was when it was built,” Danowsky said. The three-story building, constructed in 1908, has 20 apartments, a mix of one- and two-bedroom units, she said. While this will be GM’s first local restoration project, the firm has done plenty of new construction in Denver. Past projects include townhomes on Tennyson Street in Berkeley and West 32nd Avenue in the Highlands, according to its website. The Uptown building was sold by Richard Mitchell, who purchased the property in July 1987, according to city records. Mitchell ran the Denver International Youth Hostel at the site. The hostel was shut down by the city for fire code violations in August 2016, according to the Denver Post. Eighty-six people were staying there at the time. Danowsky said Mitchell opted to list the property for sale instead of attempting costly repairs. Nik MacCarter of Unique Properties represented both sides in the transaction. While Denver International has closed, a handful of other hostels continue to host visitors in the Mile High City. Capitol Hill offers the 11th Avenue Hotel and Hostel at 1112 Broadway, which advertises rates starting at $29, and Ember Hostel at 857 Grant St., which starts at around $45 for a dorm bed. On the other side of downtown, there’s Hostel Fish, located above Ophelia’s Electric Soapbox at 20th and Lawrence streets.